"Drink up me hearties yo ho" as you're entertained with true (& uncensored) nighttime stories from Philly pirates and treasure to the Jersey Devil who terrorized our waterfront at the turn of the century- all on the Delaware's "Grim" Philly waterfront upon which we float. 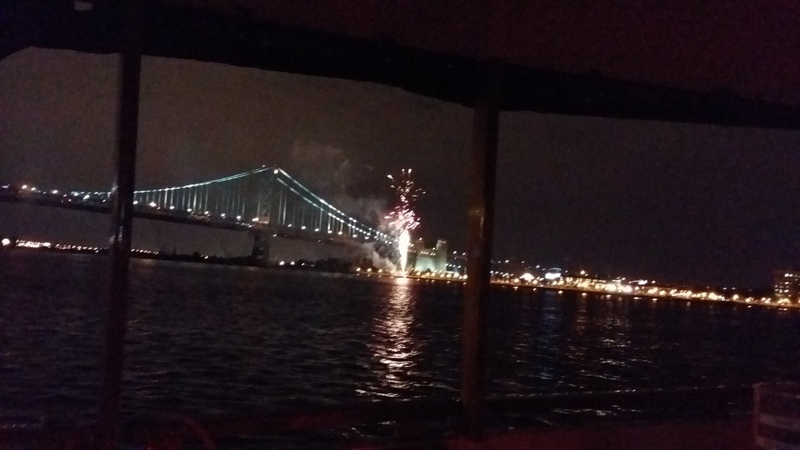 Tour guides include college professors and published authorson this after-dark cruise of the "Grim" Philly waterfront as we glide down the Delaware in a genuine Patriot Harbor Lines 1920's replica yacht . Ghost Ship Terror Cruise: Pirates & The Jersey Devil! Cool dark waters abound as you're spell bound in legends of pirate ghouls and the Jersey Devil on this cruise of the Delaware's grittiest tales under the blue moonlight with the city's urban skyline at our side. Blackbeard, Captain Kidd, Anne Boney, and pirate ghosts and treasure are dredged up alongside turn of the century encounters with Jersey's frightening woodland sky serpent; a thirteenth child and son of Satan himself along the very river upon which we sail. Join Grim Philly's professors, authors, and young professionals on this fall edition of Pirates & The Jersey Devil.